Bicycle Accident Attorney Ft. Lauderdale | Welcome to Adam Franzen. P.A. There are lots of bicyclists on the Florida roadways. 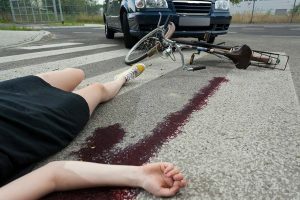 The chance of a collision between a motorized vehicle and bicycle is not great, but when they do occur, they can be more devastating and injurious to the bicyclists, who does not have the advantage of having tons of steel surrounding and protecting him/her. Negotiations with the driver’s insurance company will always focus on which party was negligent, and to what degree. If the cyclist and the insurance company can agree on the question of negligence and the amount of damages, the case will be settled. If they cannot reach agreement, it will be necessary for the cyclist to prove that the driver was negligent in a court of law in order to recover compensation for the injuries received. Always wait for the police to respond to the accident scene so that an official report will be filed. Some cyclists do not realize that they have been injured until several hours after the accident. Seemingly minor injuries may develop into serious and permanent injuries. By then, it may be too late to identify the at-fault driver. Do not attempt to negotiate with the at-fault driver. The driver may not give you accurate information about his or her identity, insurance coverage, or vehicle ownership. Many drivers who cause accidents will initially apologize and accept blame for the accident, but later, after they have had time to consider the ramifications of their negligence, will deny that they were negligent. They may even deny that they were present at the accident scene! If an accident report is written, make sure that it’s accurate. The accident report will include the vehicle driver’s and bicyclist’s statements as well as all other witness statements. The responding officer may decide to ticket the driver, and this can be useful when trying to settle the case with the insurance company. Regardless of whether an accident report is written, make sure that you have the vehicle driver’s name and contact info, as well as the names and contact info of any witnesses. If you are physically unable to gather this information, ask a witness to do it for you. The accident scene should be investigated for information about how the accident occurred. The investigation should include obtaining skid mark measurements, photographing the accident scene, speaking with additional witnesses, and measuring and diagramming the accident scene. Seek prompt medical treatment for your injuries. This is proof that you were in fact injured, and the medical records generated by the medical provider will help establish the extent of your injuries. Have several photos taken of your injuries, from different angles and under different lighting, as soon as possible after your accident. Keep a journal (injury diary) of your physical symptoms, starting immediately after the accident, and make entries every couple of days. Do not communicate with the insurance company before consulting with an attorney. What you see as an effort on your part to communicate a fair and honest account of the accident will be seen by the insurance company as an opportunity to gather evidence in support of their argument that your negligence caused the accident. There are many other questions you may have regarding the bicycle laws in Florida. If you are involved in a bicycle accident, call Adam Franzen at (954) 462-5790. Visit his website to learn more about how he can help you with your bicycle and other personal injury cases. This entry was posted on Wednesday, September 28th, 2016 at 6:10 am	and is filed under Blog. You can follow any responses to this entry through the RSS 2.0 feed. Both comments and pings are currently closed.